(Newser) – ISIS has released most of the 300 cement workers it abducted near Damascus after questioning them to find out who were Muslims and killing four who were members of the minority Druze sect, the AP reports. Reports of their release came two days after ISIS abducted the cement workers and contractors from their workplace in Dumeir after a surprise attack on government forces. A human-rights group says all those abducted have been released except for 30 people who were guards at the cement factory. Their fate is unknown. Somebody needs to follow the money trail. Who is bankrolling ISIS? 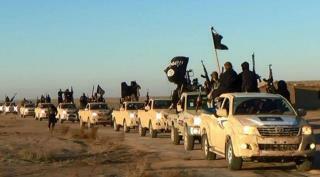 Who pays for all those rocket launchers, AK-47's, and Toyota pickups? BS. What about reports that 175 of them have been executed?